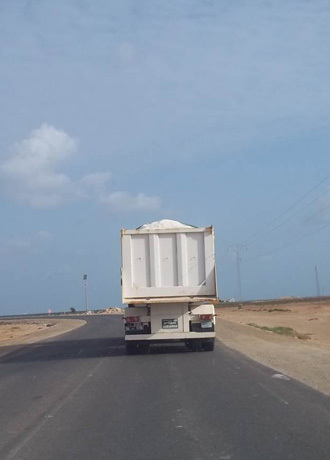 The transport of salt from the salt plant to the port of Zarzis is carried out by Tunisel’s own salt trucks. 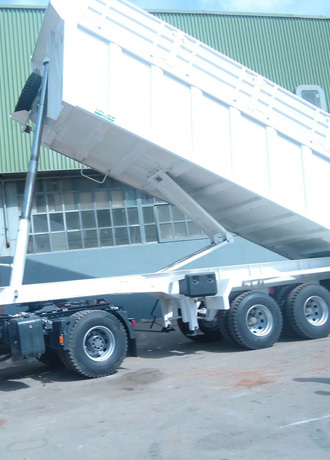 The trucks tippers are specially treated for the intensive use of the corrosive and abrasive element that is the salt. 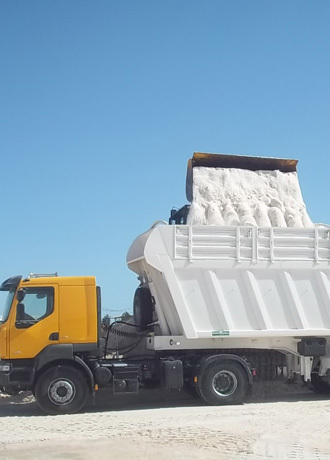 During transport, the tippers are covered with tarps dedicated to aerate the salt while protecting it from any road dust. 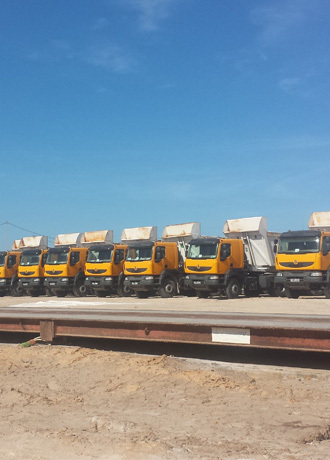 In order to have a more flexible logistics operation, Tunisel uses two storage areas in the port of Zarzis. 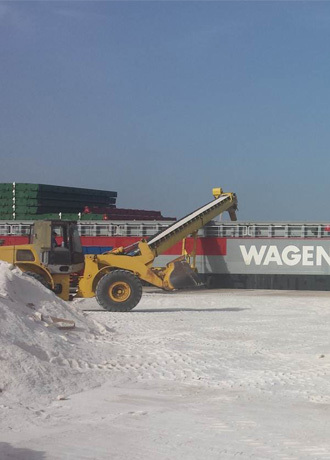 Thanks to a conveyor stacker, high storage elevation is achieved enabling better storage efficiency per square meter as well as a better protection from the outside pollutants. 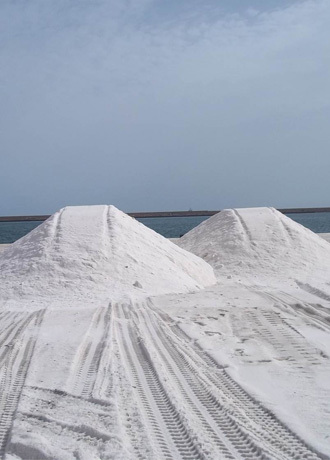 Additional treatments (such as crushing, screening or addition ferrocyanide) can also be undertaken in the storage areas in the port of Zarzis. 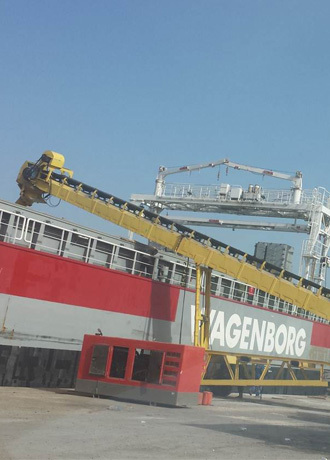 The loading is done with a ship loader as well as a grapple crane (when necessary). These means allow for very efficient and unparalleled loading rates. 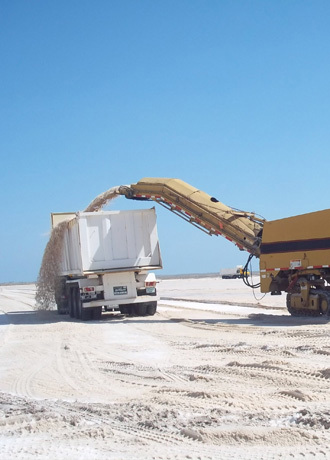 A powerful electromagnet is used during loading to eliminate any metal particles. 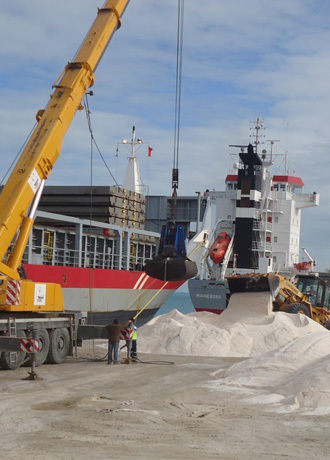 Monitoring teams continuously supervise the loading operation to ensure that the salt loaded in the vessels is of perfect quality. Apt. 4 & 5, 1073 Montplaisir, Tunis, TUNISIA.